Supporting Variable Wattage mode and BYPASS mode, eGo Mega Twist+ has 2300mAh battery capacity and applies dual circuit protection with multiple colors to choose. Also the great performance and easy operation make the eGo Mega Twist+ outstanding and unique. Thanks to the seller. The order came quickly. I advise the seller. Everything came as in the description. Joyetech eGo Mega Twist + Battery with a output mode of VW/BYPASS and Mode Resistance Range of 0.2 to 3.5ohm. Available in different colors. 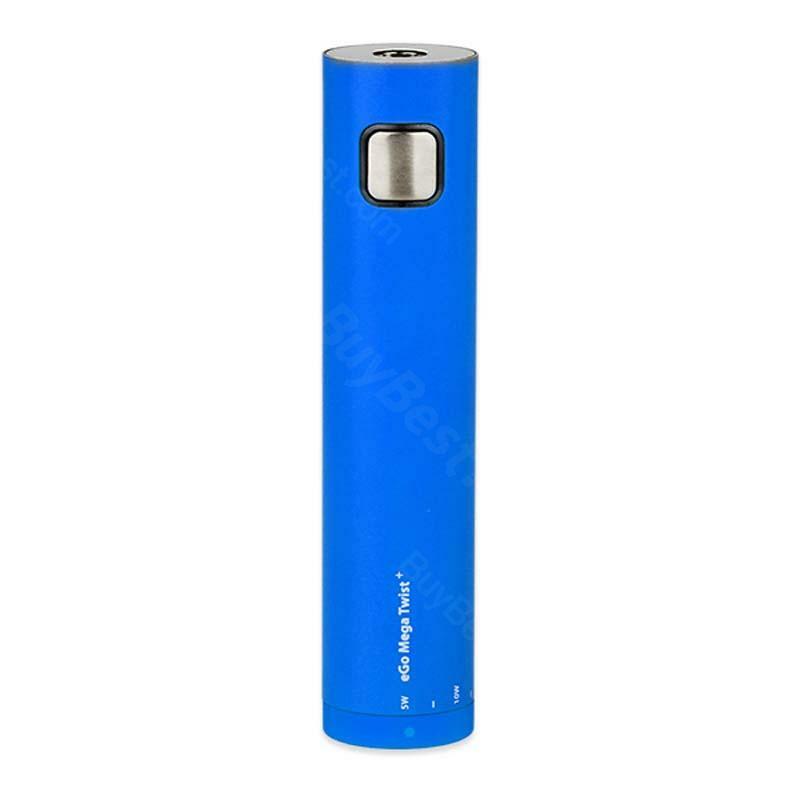 With a 2300mAh eGo Mega Twist Battery.